A Marvel drama, an action packed sequel and a classic horror flick – here’s what to look out for in 2018. From Storm, Bishop to Black Lightning, quite a few black superheroes can be found in comic books, but not many have been made into movies. 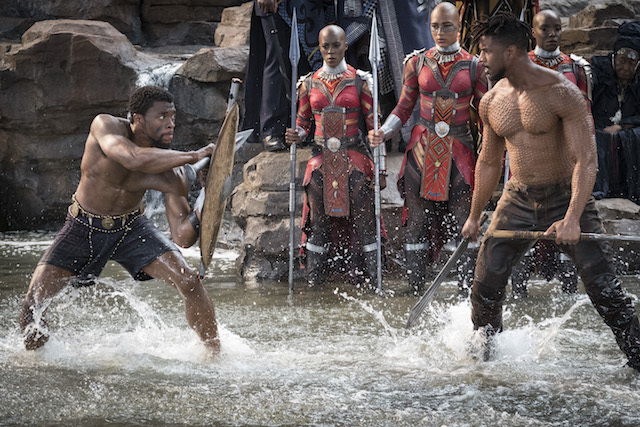 Boasting a huge black cast, that includes Oscar winners Forest Whitaker and Lupita Nyong’o, Marvel Studios’ “Black Panther” follows T’Challa (Chadwick Boseman introduced in “Captain America: Civil War”) who, after the death of his father, the King of Wakanda, returns home to the advanced African nation to succeed to take his rightful place as king. Things don’t go according to plan as an old enemy reappears and T’Challa’s role as king—and Black Panther is tested when he is drawn into a conflict that puts the fate of his country at risk. Directed by Ryan Coogler “Black Panther” opens in U.S. theaters on February 16. 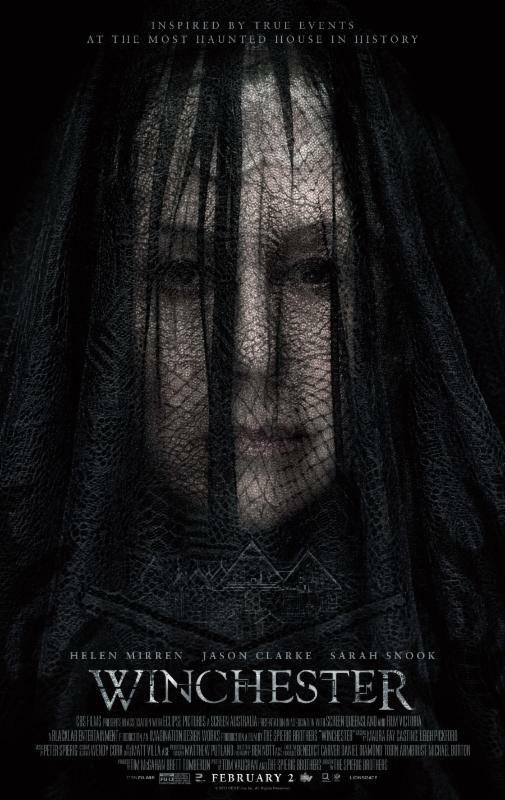 It’s a chilling horror drama which stars Helen Mirren as Sarah Winchester, a widow and heiress to the Winchester fortune, who was convinced her seven-story home is haunted. The movie is based off the real Winchester Mystery House in San Jose, California which stands seven stories tall and contains hundreds of rooms. Good dramatic horror movies tap into psychological fears with their truly terrifying lead characters and this one is laced with chills and horrors. Directed by The Spierig Brothers (“Jigsaw”), it hits theaters February 2. With an impressive cast that includes Oprah Winfrey, Reese Witherspoon, Mindy Kaling, Gugu Mbatha-Raw, Michael Peňa, Zach Galifianakis and Chris Pine, this adventure directed by Oscar nominee Ava DuVernay is based on Madeleine L’Engle’s book which takes audiences across dimensions of time and space, examining the nature of darkness versus light and, ultimately, the triumph of love. The films opens nationwide on March 9. 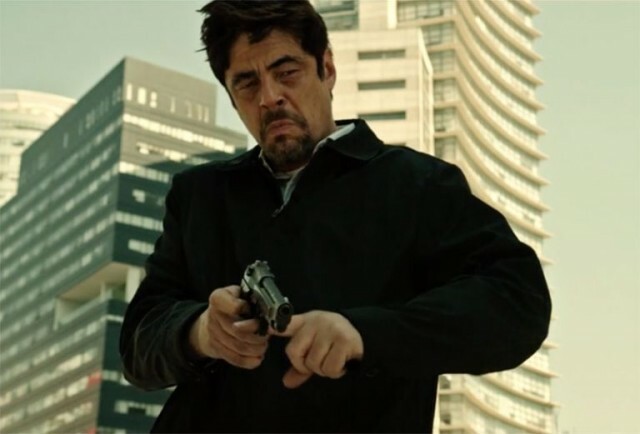 A much-anticipated sequel, the first film was a riveting thriller led by the gripping performances by Emily Blunt and Benicio del Toro. With so many films focused on the war on drugs, this creative and intense film explores the line blurred between law enforcement and crime. In this sequel, the drug war on the US-Mexico border has escalated as the cartels have begun trafficking terrorists across the US border. To fight the war, federal agent Matt Graver (Josh Brolin) reteams with the mercurial Alejandro (Del Toro). Also starring in Soldado are Isabela Moner (“Transformers: The Last Knight”), Jeffrey Donovan (“Burn Notice”), Manuel Garcia-Rulfo (“The Magnificent Seven”), and Catherine Keener (“Get Out”). Italian director Stefano Sollima directs the film, which once again was written by screenwriter Taylor Sheridan (“Wind River”). The film is scheduled to open in theaters on June 29. 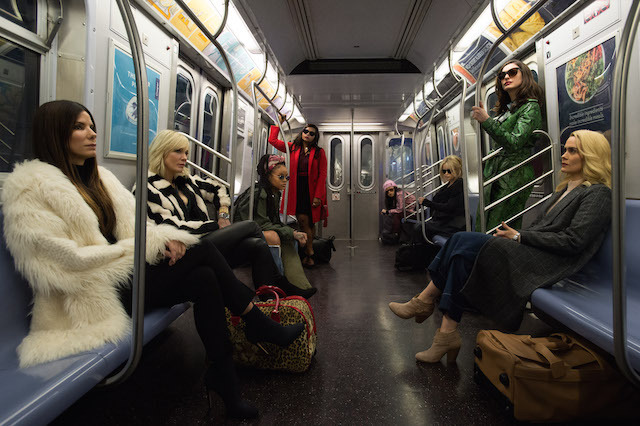 Featuring Rihanna and an all-female cast, this heist comedy film is directed by Gary Ross and is both a sequel to and an all-female soft reboot of the Ocean’s Trilogy and a spin-off of Ocean’s 11. In the film, Debbie Ocean (Sandra Bullock) attempts to pull off the heist of the century at New York City’s star-studded annual Met Gala. Her first stop is to assemble the perfect crew. Cate Blanchett, Mindy Kaling, Helena Bonham Carter, Anne Hathaway and Sarah Paulson all star. Oscar-nominated filmmaker Gary Ross directs this film which releases in theaters June 8. 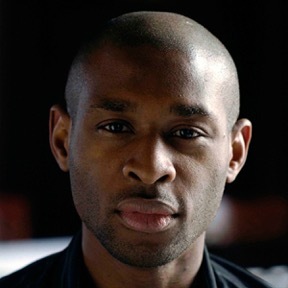 Directed by Nigerian born filmmaker Julius Onah (“The Girl is in Trouble”) the film will follow a group of astronauts who come across a terrifying discovery while aboard a space craft. J.J. Abrams’ produces this thriller which stars Gugu Mbatha Raw and David Oyelowo, John Krasinski. The film releases is out February 2. Man vs beast always makes for a gripping drama. 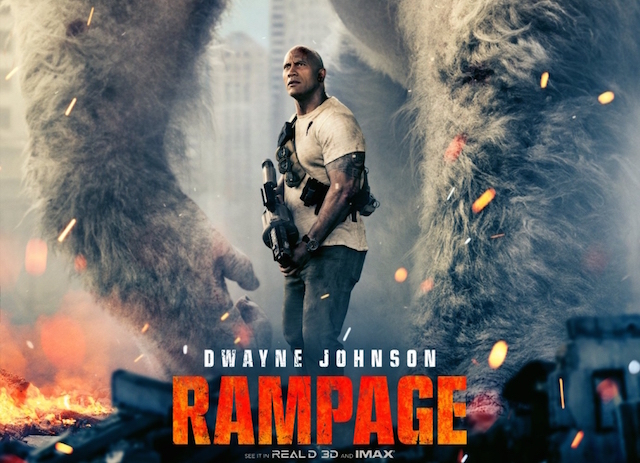 Global megastar Dwayne Johnson headlines the action adventure and plays a Primatologist called Davis Okoye, a man who shares an unshakable bond with an extraordinarily intelligent, silverback gorilla who has been in his care since birth. But a rogue genetic experiment gone awry mutates this gentle ape into a raging creature of enormous size. To make matters worse, it’s soon discovered there are other similarly altered animals. As these newly created alpha predators tear across North America, destroying everything in their path, Okoye teams with a discredited genetic engineer to secure an antidote, fighting his way through an ever-changing battlefield, not only to halt a global catastrophe but to save the fearsome creature that was once his friend. “Rampage” also stars Oscar nominee Naomie Harris (“Moonlight”) and opens in theaters beginning April 20. 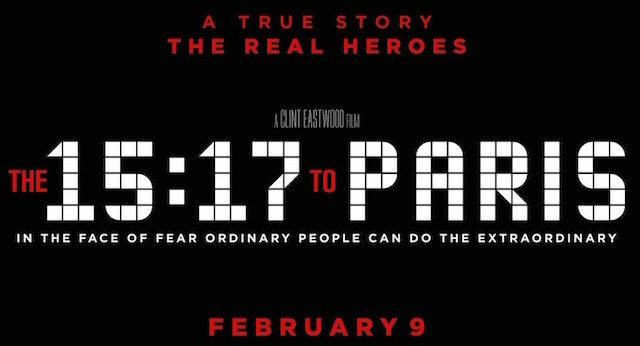 Clint Eastwood is back in the director’s seat to helm this film which tells the real-life story of three men whose brave act turned them into heroes during a high-speed railway ride. In the early evening of August 21, 2015, the world watched in stunned silence as the media reported a thwarted terrorist attack on Thalys train #9364 bound for Paris—an attempt prevented by three courageous young Americans traveling through Europe. The film follows the course of the friends’ lives, from the struggles of childhood through finding their footing in life, to the series of unlikely events leading up to the attack. Throughout the harrowing ordeal, their friendship never wavers, making it their greatest weapon and allowing them to save the lives of the more than 500 passengers on board. The film will be released in theaters February 9.